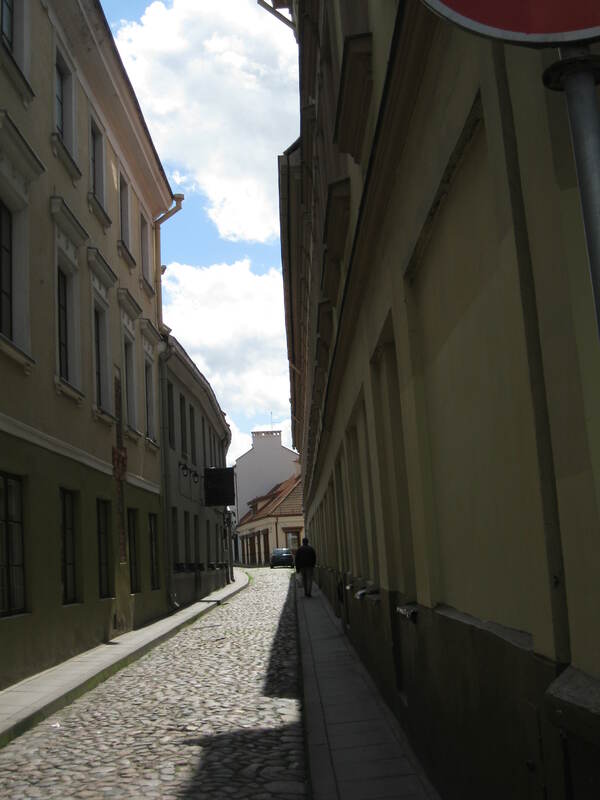 From our hotel, we walk to the Choral Synagogue for morning Shabbat services. 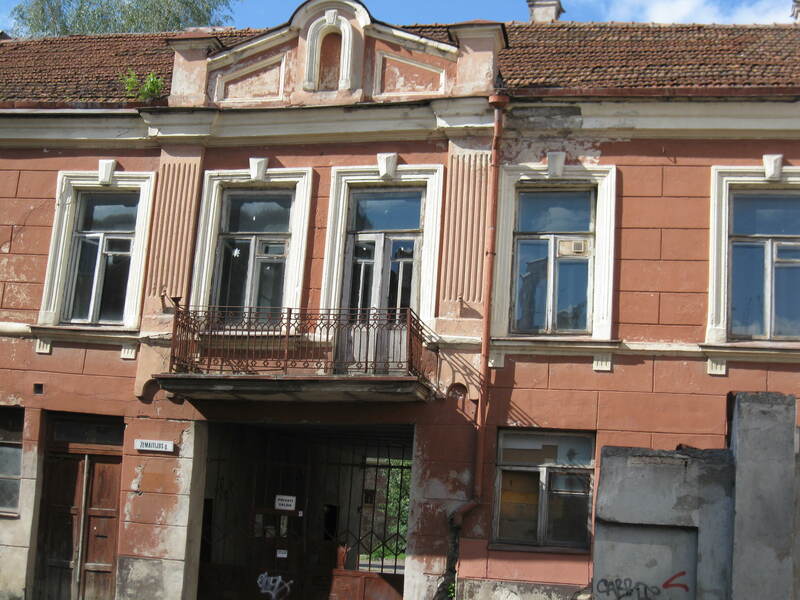 This is the only synagogue remaining from a total of over 100 synagogues in Vilna before the Holocaust. 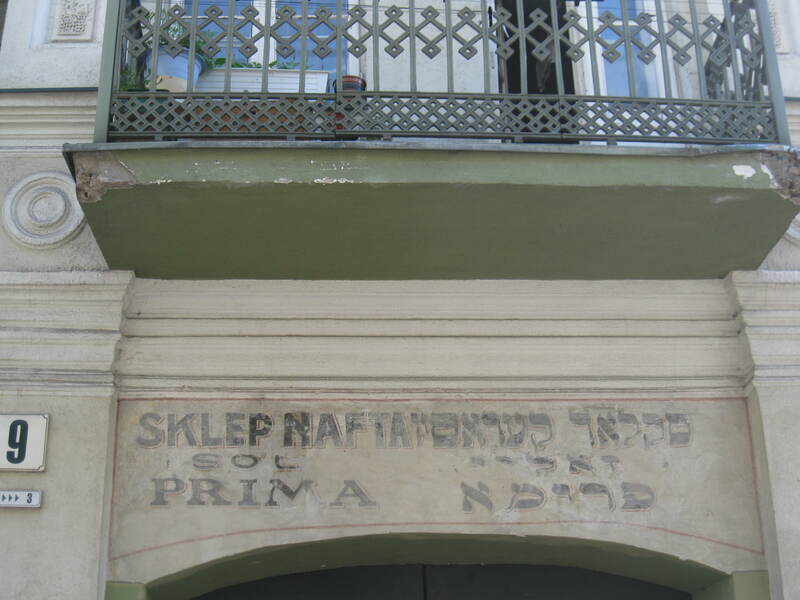 It was founded by Jewish intellectuals who followed a secular Haskalah (enlightenment) philosophy. 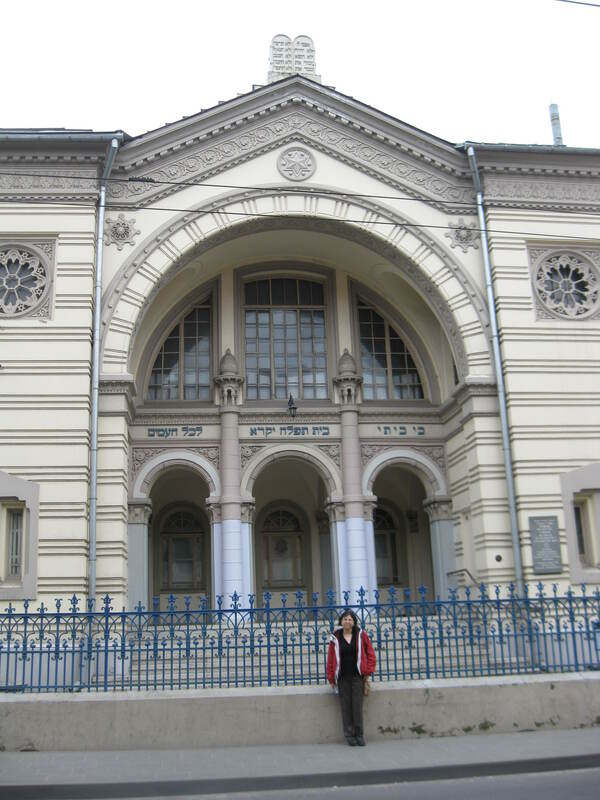 Built in 1903, the building is a Moorish architectural style with a balcony and a center bimah. 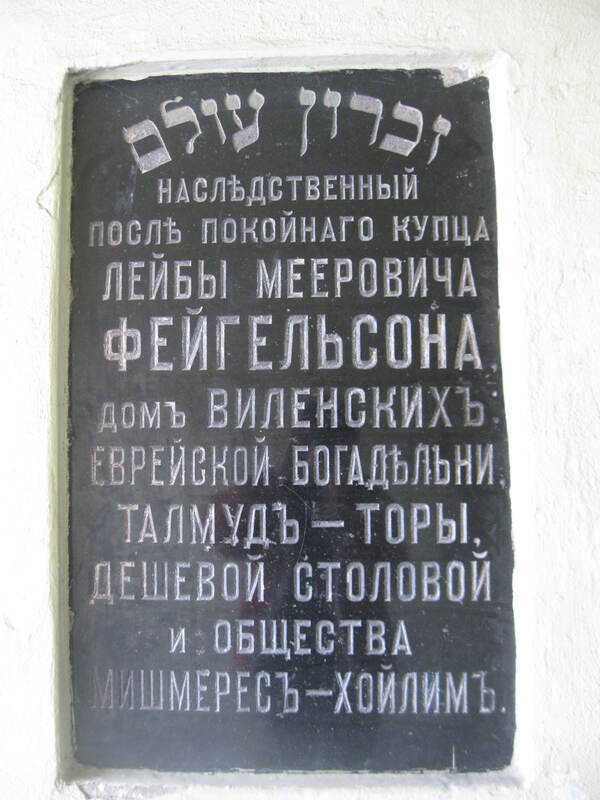 The Jewish Haskalah movement was inspired by the European Enlightenment. A group of students from a Jerusalem teachers’ college also showed up for services and we enjoyed talking with some of them. These Israeli students prepare for either a regular or special education credential. 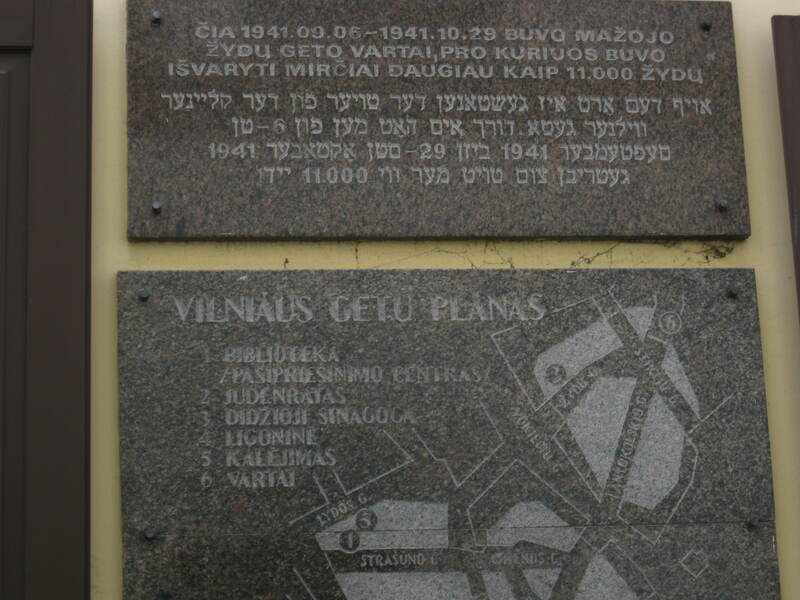 They were in the middle of a 10-day trip to Latvia and Lithuania as part of a program to teach educators how to present the Holocaust to young students in Israel, as young as 5 years old. After lunch at the hotel, we split up into small groups for a walking tour of the Jewish Quarter and the Jewish ghettos. 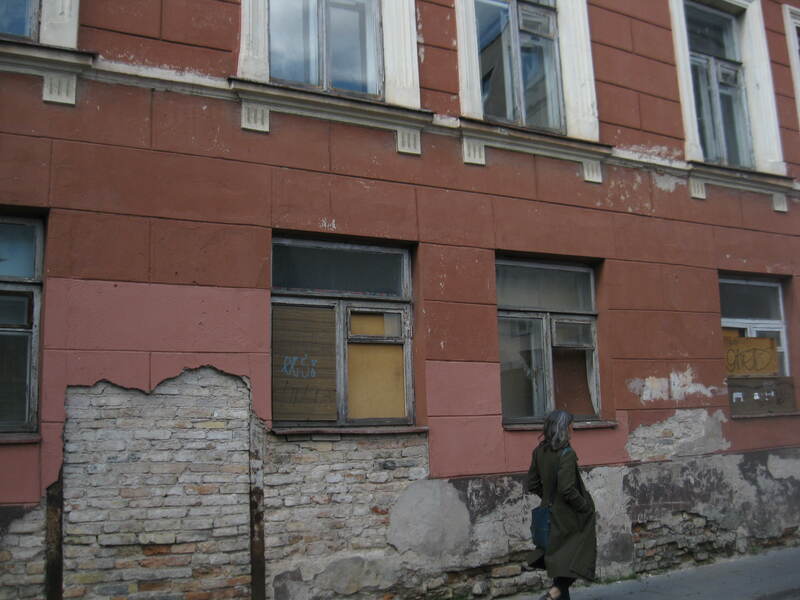 I choose to be with Roza Bieliauskiene, a native Yiddish speaker with extensive knowledge of the history and culture of the old Jewish community of Vilna. 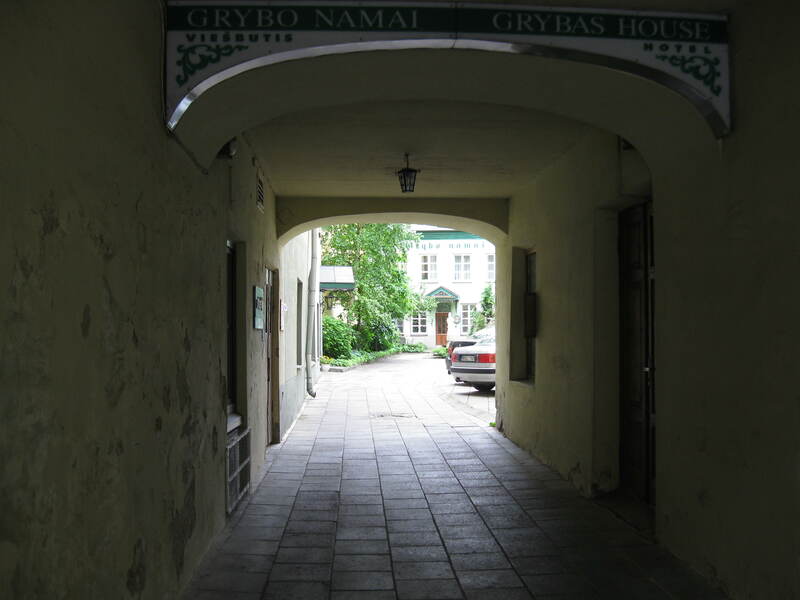 She also has designed special tours for those interested in YIVO or the books of Lucy Dawidowicz. 1. 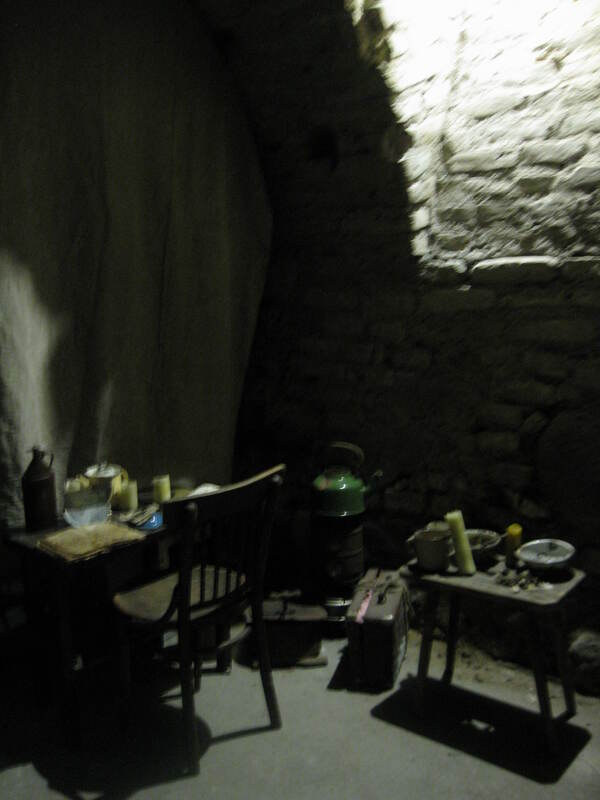 To save a single person, it took more than one person willing to help; a hiding place and food for an extended period of time was required. 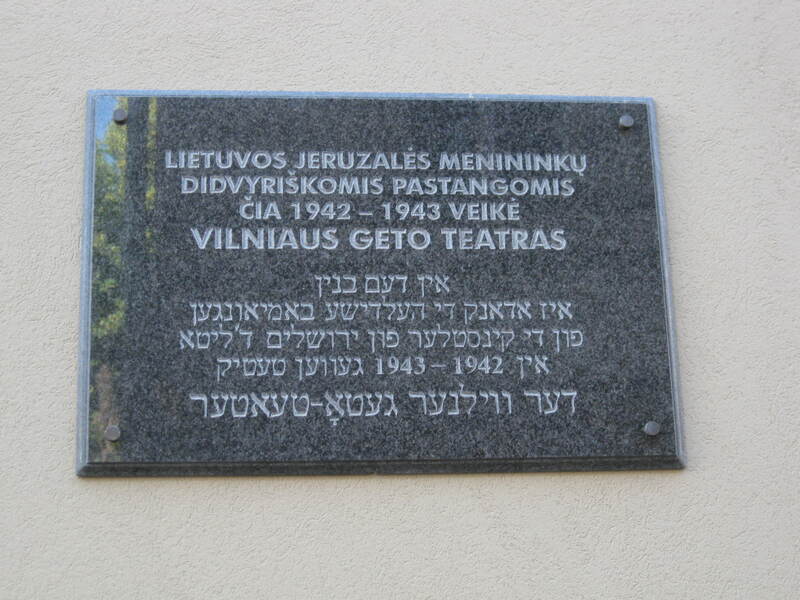 Based upon the tiny number of survivors (under 5% of the total prewar Jewry survived), some Lithuanian claims of the number of rescuers was not possible. Ironically, it only took a single person to kill dozens or hundreds of people in a single day. 2. 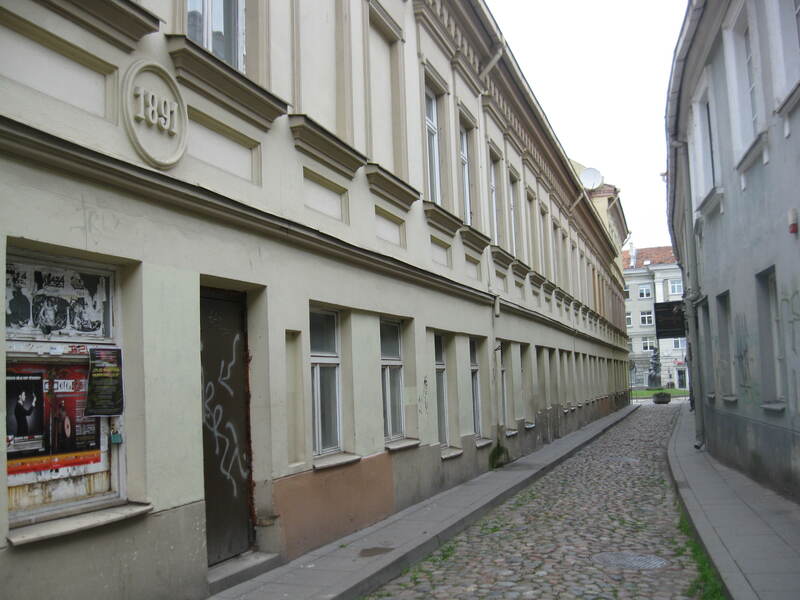 The two Vilna ghettos were surrounded by narrow streets and extremely close densely populated apartment blocks. 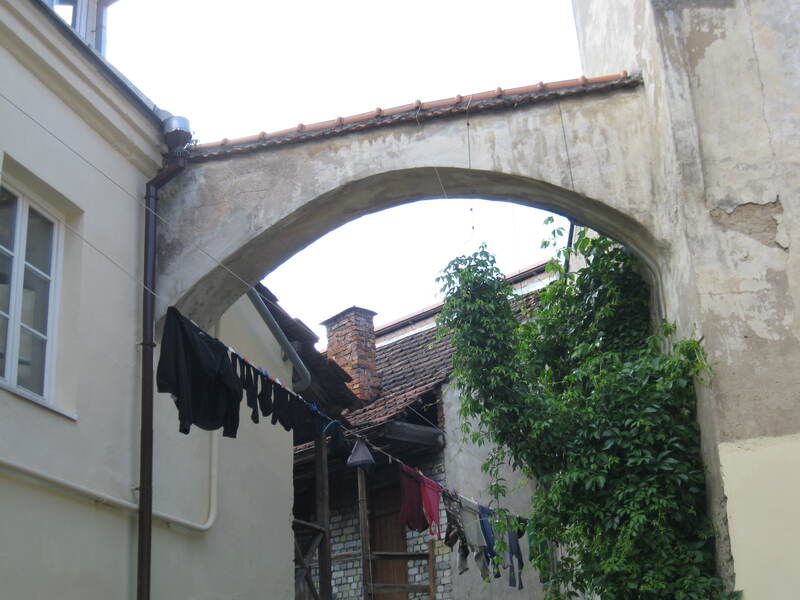 Thousands of people were likely to have witnessed what was happening to their Jewish neighbors, all civilians, including children and the elderly. 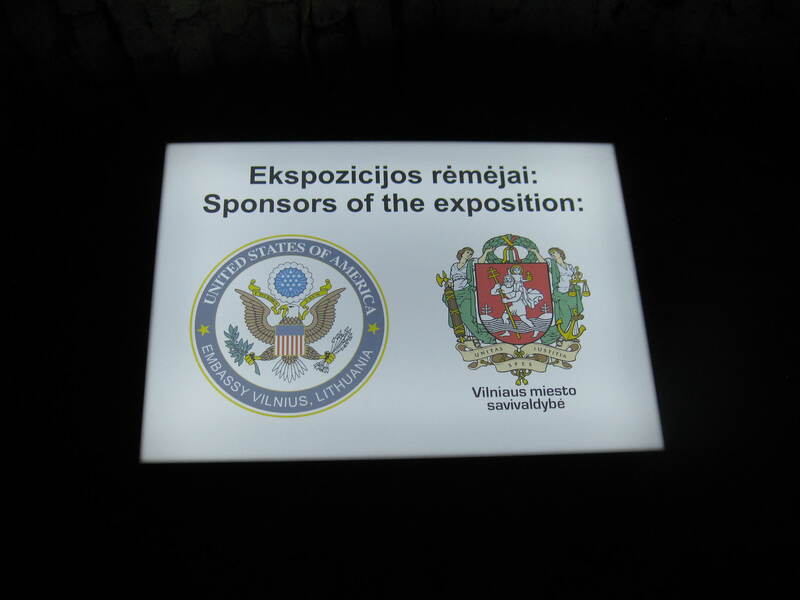 Nearly all of the expulsions and atrocities were committed by the local Lithuanians. 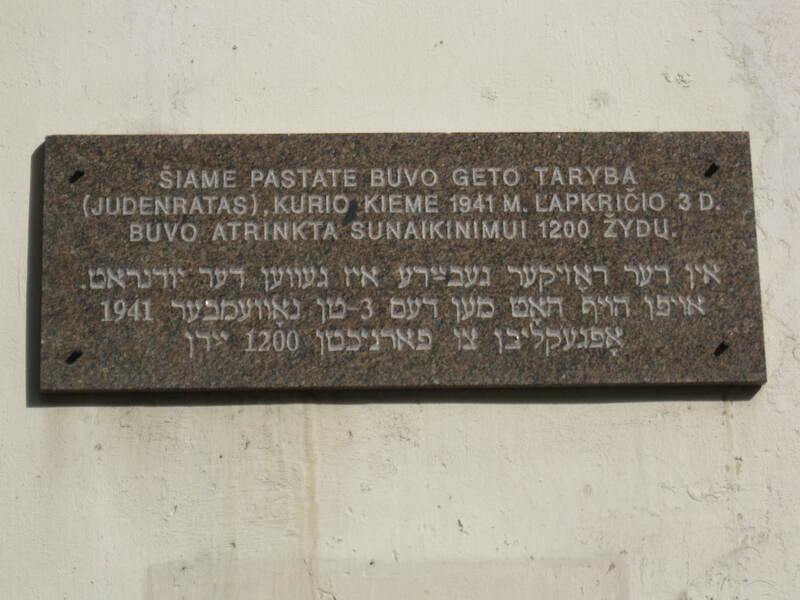 Roza pointed out that the German bombing completely wiped out the Jewish ghettos. 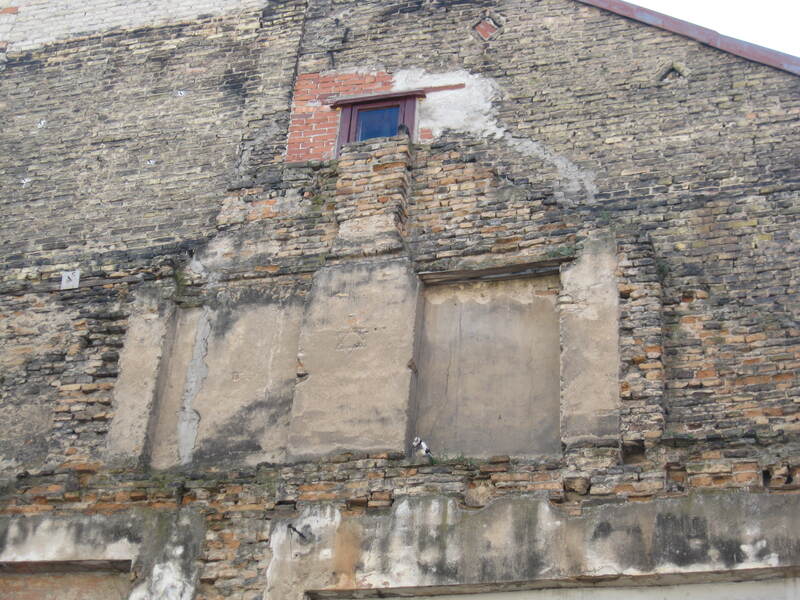 Much of the remaining city was also bombed and suffered extensive damage. 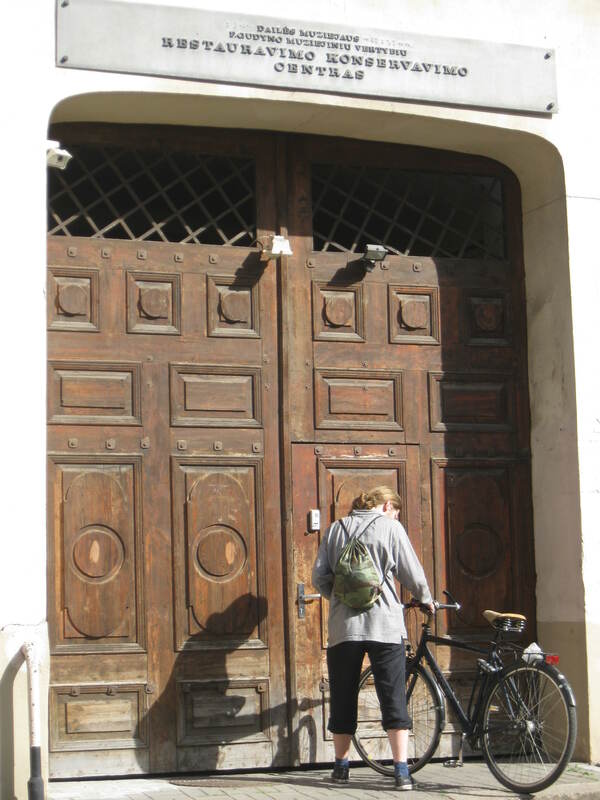 Leading us through narrow neighborhood streets and courtyards, she showed us examples of the types of buildings that people were likely to have lived in, pointed out the typical cellars that sometimes offered a hiding place, and discussed some of the local personalities. 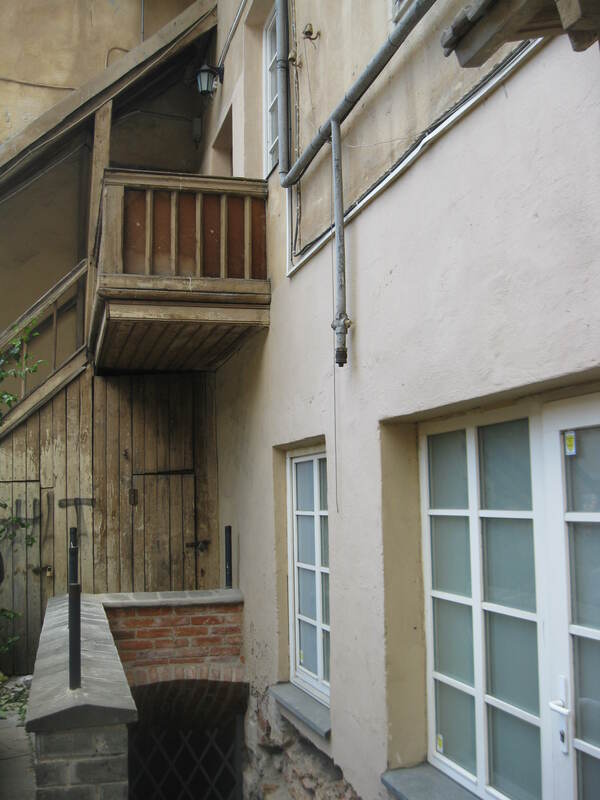 There is a Jewish Cultural Center exhibiting a typical “malina” – hiding place used for shelter during the German occupation that some ghetto residents were able to use for escape. 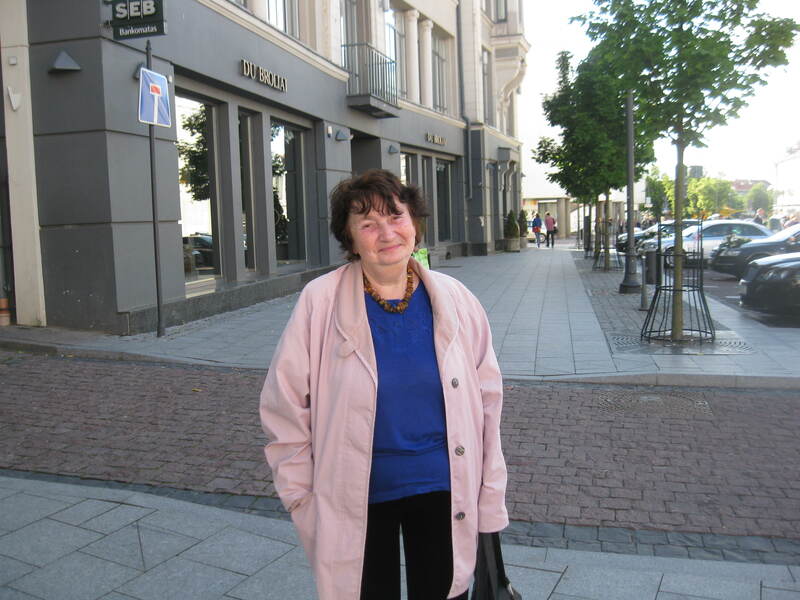 I was in awe of Roza’s knowledge and energy – she knows every square inch of Vilna. 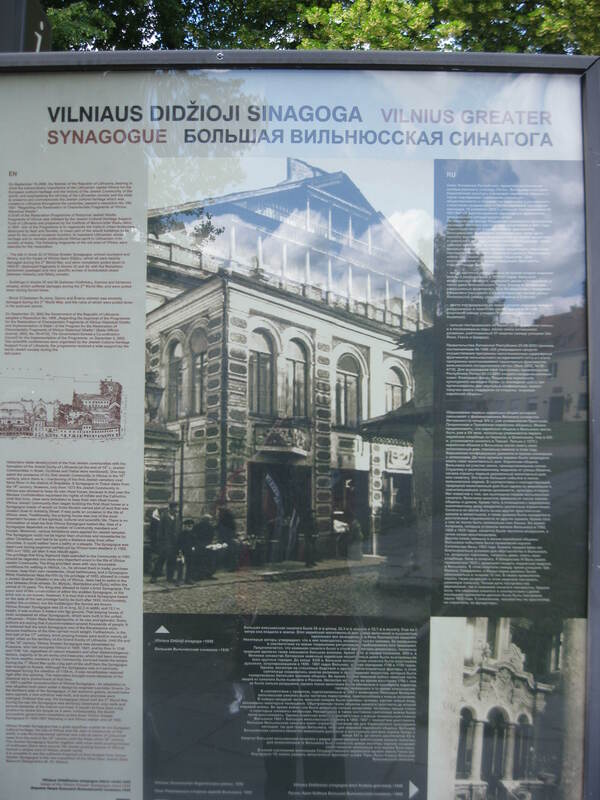 This entry was posted in Uncategorized and tagged Choral Synagogue, Great Synagogue, Haskalah, Jewish ghetto, Jewish Quarter, malina, Roza Bieliauskiene, Vilna, Vilnius, Yiddish theatre. Bookmark the permalink.